Lupa Osteria Romana: an expensive lunch. 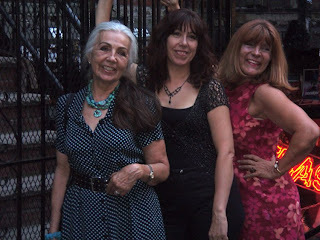 Well, I went to Lupa with my Mom. 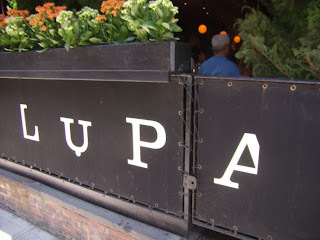 Lupa is a typical neighborhood restaurant. Reminded me of Perilla. The question is, is it as good? 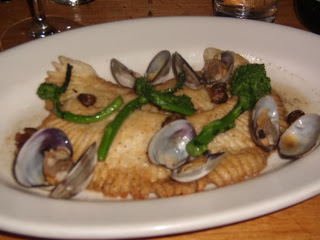 I spent as much at Lupa for lunch as I've spent at Perilla for dinner so the bar is high. 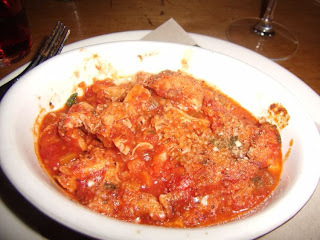 I had the Trippa, tripe, for a start. The sauce was great, spicy and delicious, but it hid the tripe. I love tripe so I was disappointed. 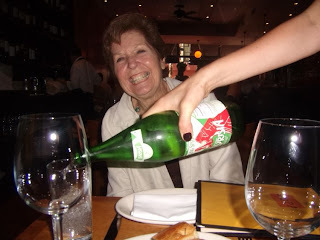 However, I had a very reasonable Rosé by the glass as did my Mom. Very nice. The bread was good. Not great but good. To tell the truth, though, I love my Mexican Tripa, fried, in a tortilla. So, the bar is high here. 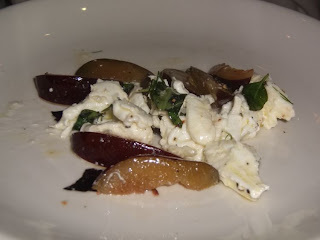 My Mom had the plum salad. Not bad. It needed some seasoning. Salt and white pepper would be my suggestion. 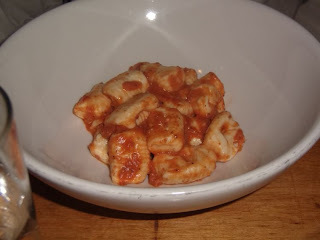 She also had the gnocchi, very nice. Fluffy and perfectly made. Mario hits a home run. I had the Skate. It was beautiful. Very nice. Perfect. Another home run. 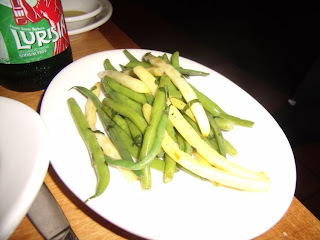 I also ordered a side of spring beans. They were well seasoned and tasty. 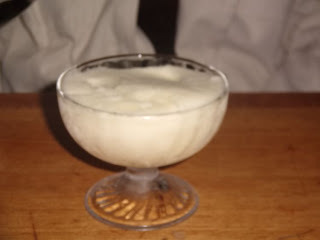 My Mom had a lemon Sorbet, Italian style. 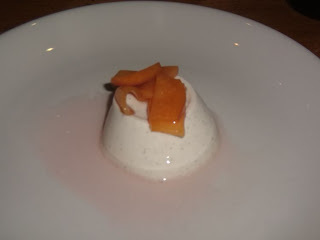 I had the Panna Cotta. It was well made but not remarkable. Overall, it was good. The wait service was very good. The plating was OK for lunch, nothing to write home about. I took these pictures before we dug in, so you can see what I mean. I think that if Perilla did lunch, I'd rather eat there. Too bad they don't. This though was a good lunch and cheaper than Park Avenue Cafe. However, our Lupa lunch for two cost as much as the dinner we had for 8 people at a Thai restaurant in the village. The food there was also good. I didn't take any pictures so no review. Sorry you had to miss this night. It was great.